There are few attractions in Disney that I can't ride and won't ever try to ride. Tower of Terror is one. 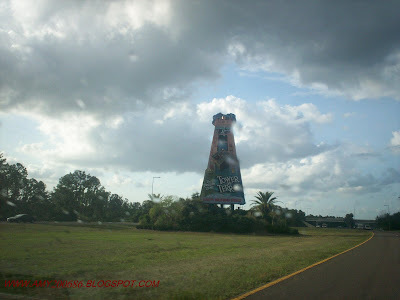 The name itself speaks volume of terror and I am chicken LOL.The picture below is one of the billboard advertisements of Disney attractions along the Disney Property. Anyway, while at Disney's Hollywood Studios, I was already on the queue and when I reached the elevator door, I went to the exit instead hahaha. Tower of Terror is a simulated free fall drop tower thrill ride. If you like any adrenalin rush attractions, this might become your favorite.